Indianisation is one of the keys to bettering the chances of product's success in the volatile Indian market. Everything from fast food to five-star properties has had to Indianise their offerings to make them more appealing to the Indian audience. In the automotive world, carmakers have had to go a step further (or backward) and introduce sub-four-meter versions of almost every bodystyle. SUVs are available in this small packaging too and everyone is trying their level best to get into this space. Those who haven't managed to take up the challenge of creating a sub-four-meter SUV have simply bolted on rugged cladding on their hatchbacks to create pseudo-SUV crossdressers, while a small bunch has managed to create compact SUVs that aim to be just as good as their larger siblings. 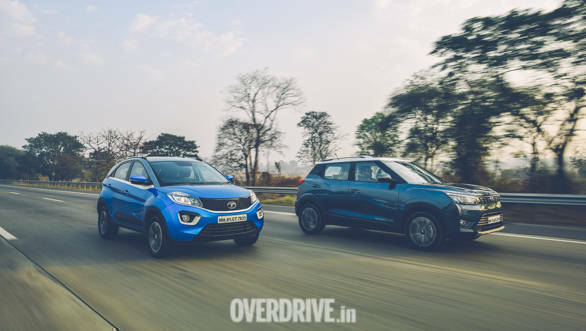 The most notable of this bunch are the 2017 ICOTY winning Maruti Suzuki Vitara Brezza, the radical Tata Nexon, and the handsome Ford EcoSport - the car that virtually kick-started this genre. 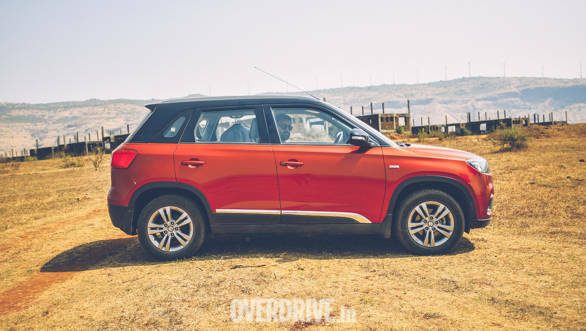 These cars have been unfazed by the competition, but there is a new contender on the block that could shake their standings - the Mahindra XUV300. The XUV300 is, in fact, another great example of Indianisation. It started life as a SsangYong Tivoli, but a lukewarm response to the car at the 2016 Auto Expo (and towards the Korean brand in general in the Indian market), has led Mahindra to Indianise the Tivoli for the local taste. Much like Rexton derived Alturas G4. But while the G4 was allowed to retain the Rexton's gigantic dimensions, the Tivoli was sent to the chop-shop to make sure it fits into the sub-four-meter tax-saving bracket to remain competitive against its established rivals. The XUV300 is also a great example of the fact that maintaining a visually balanced design without compromising on usable space is a big challenge in this sub-four-meter segment. The XUV300 begins with a chiselled face inspired from the XUV500, has flared arches and a muscular shoulder line, but the tail looks like it was slashed abruptly. That results is an awkwardly large bumper, which in turn leads to a high loading lip for the boot. Mahindra has tried to balance that design with a large emblem and even larger taillights, but the composition ends up looking quite bulky. Ignore the tail though and the rest of the design looks more sophisticated than anything that we have seen from Mahindra, this side of the XUV500. The design has hints of the Vitara Brezza to it, but aping the market-leader is a safe approach to gain a wider acceptability. In a way, that is is also how Indianisation works. The Nexon and EcoSport take a different design approach than the Brezza and the XUV300. Both look sportier with their radical faces, tapering noses and sharply rising belt-lines. The Brezza and the XUV on the other hand have the straight lines and the boxy stance of old-school SUVs. 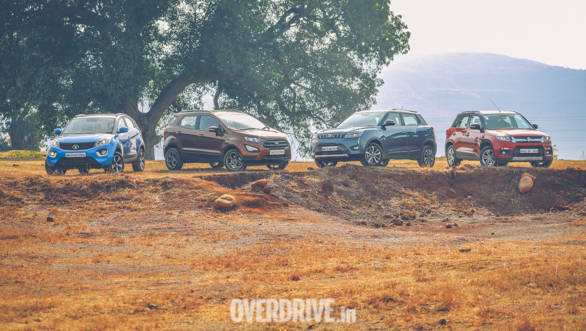 All have their own, unique charm - like the coupé roofline on the Nexon, the tailgate mounted spare wheel on the EcoSport, the no-nonsense character of the Brezza or the radical lighting on the XUV300 - take your pick. If I had to choose, I would sign-up for the Brezza. The XUV300's cabin gets a mixed reaction from me. The materials feel low-rent and the controls aren't very intuitive and the switches for the trip computer are oddly placed on the dash. In fact, Mahindra have simply left blank switches on the stalks, which would have otherwise controlled the trip info on the instrumentation. The unintuitive switchgear is a matter of getting used to, of course, but I expected better. The cup holders need better Indianisation! My addiction to caffeine is making me finicky about cup holders lately, and the XUV300's cup holders areare too tight for takeaway cups from most of the popular coffee joints in India. Sounds like I'm nitpicking, but in today's times of drive-thru breakfasts, this urban SUV needs to be more accommodating. That said, there are plenty of wisely designed cubby holes and this is also the airiest cabin of this lot with its large glasshouse and bright upholstery. The Brezza's cabin feels just as roomy, but the all-black trim could feel claustrophobic to some. The Brezza's switchgear is the easiest to get used to though, and choosing the range-topping trim also gets you the SmartPlay infotainment system which not only reduces the switchgear clutter, but also trumps similar systems in the other three cars by being slicker and crisper. The minimalist layout for the dashboard looks smart, while the instrumentation with its funky dials adds a bit of sportiness. 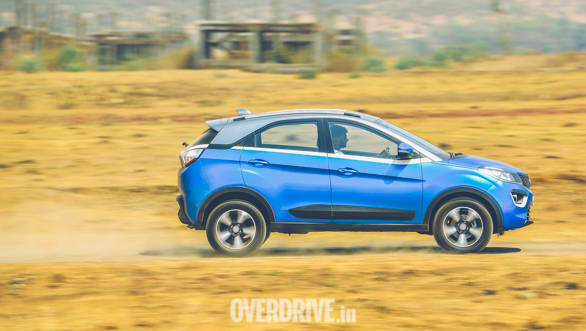 The Nexon has the most spacious cabin of this test, but with its sweeping roofline, getting in and out of the backseat can be challenging for taller passengers. Like the XUV300, the Nexon's steering too is a bit in your face and the thick A-pillars hamper cornering visibility. But the cabin has a youthful vibe to it and looks quite attractive. 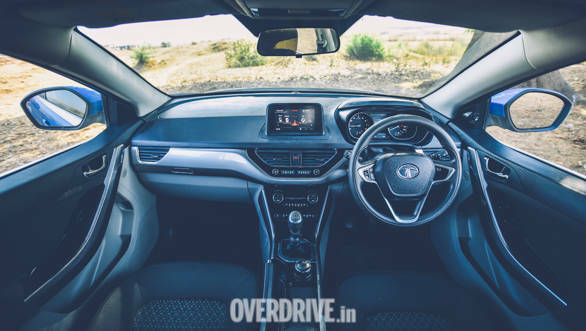 The Nexon and the EcoSport have dashboards with infotainment systems that stick out and sit in-line with the instrumentation to remain safely in the driver's peripheral vision. The unit in the Nexon feels a bit laggy though. 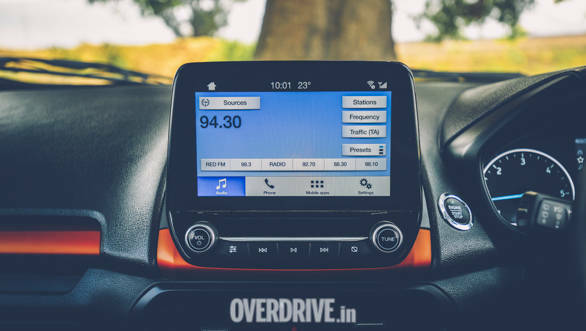 The EcoSport's infotainment is more responsive and easier to use with its acclaimed SYNC operating system. 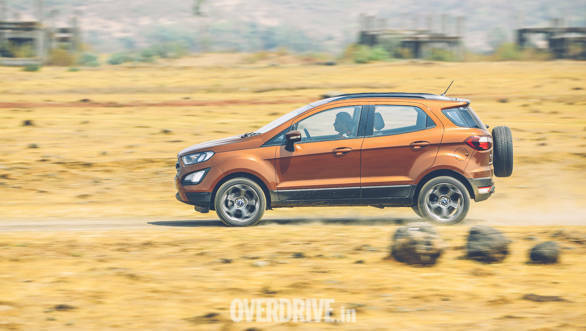 The EcoSport also boasts of the most content-rich instrumentation on offer in this segment, more so in the S trim seen here. 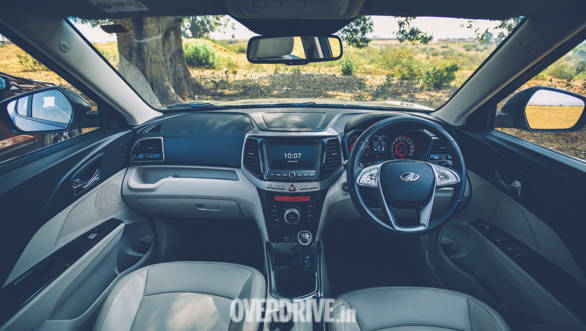 The EcoSport's cabin is the smallest of this test, fit only for a nuclear family, but it has a very premium feel to it that comes courtesy of the features it offers, the material, and their fit and finish. It is also the only car in this test to offer a tilt and telescopic steering, that ensures a safe and comfortable driving position. The Euro, Latin or Global NCAP tests confirm that the EcoSport and the Brezza are 4 star safety award winners, while the Nexon has won the maximum 5 star rating. At the time of this test, no NCAP rating was available for the Mahindra XUV300 though, but carmaker has promised a high level of safety for the cabin. Like its rivals, the XUV300 too has ABS with EBD, traction control and isofix child seat mounts, but it goes a step further by offering a choice of upto seven airbags and even forward facing proximity sensors. 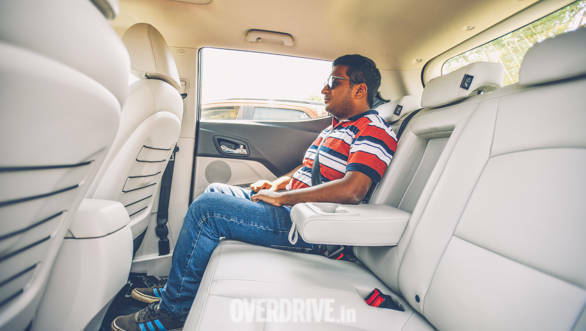 Mahindra's body on frame SUVs usually have an exceptionally comfortable ride and gladly, even the monocoque-bodied XUV300 doesn't disappoint. The ride is supple even on sharper bumps, while the monocoque construction gives it sharper handling characteristics than the likes of the TUV300. My only grudge is that the suspension is quite noisy and the metallic clunks give you a feeling that things aren't tightly put together. If they fix that, the XUV300 will have the sense of ruggedness and invincibility that you typically expect from a Mahindra. That said, even our Nexon and the Brezza testers, which had a considerable mileage on them, were quite noisy through the potholes and sharp bumps. The EcoSport, on the other hand, feels tighter and better put together. But around the twisties, the EcoSport feels understeery (attributed largely to the Ecopia tyres) and the steering feels numb. Taking away the driving fun. The Nexon has a grippier feel through the corners, but nothing beats the Brezza's feel and composure when it comes to tackling bends. It remains taut, sharp and predictable and there is plenty of grip when you are in the mood for driving fun. 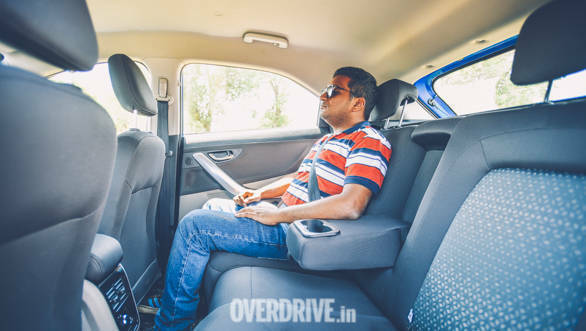 In a nutshell, if you love driving the Brezza is your car and if you seek ride comfort over everything else, the XUV300 could make better sense. 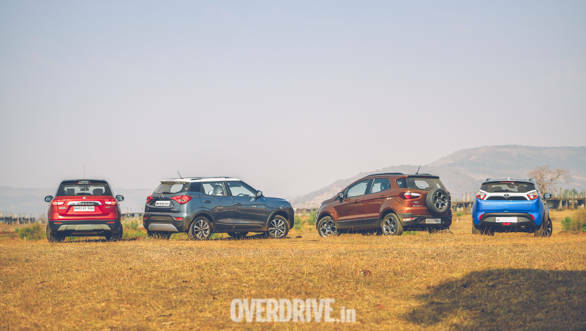 The EcoSport and the Nexon sit right in-between, achieving a fine balance between both, but the quieter suspension and cabin helps the EcoSport edge ahead. 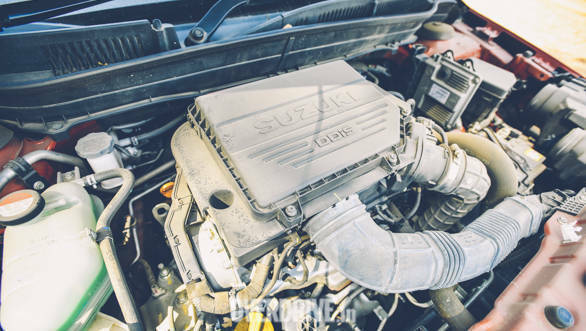 The diesel engines that power these cars are around 10PS apart from each other, with the Brezza being the least powerful of the lot at 90PS and the XUV300 being the most powerful at 118PS. But the performance figures suggest otherwise. The Brezza is the quickest to the ton at 12.4s and the XUV, the slowest at 13.7s. 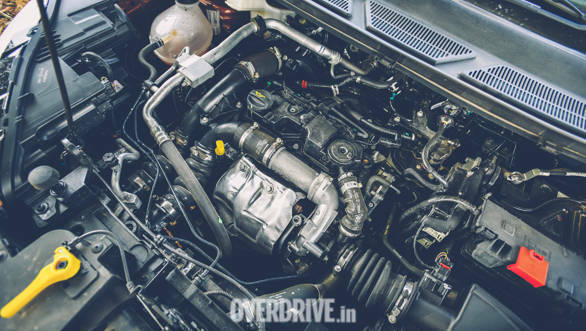 The XUV300's 1.5l turbocharged diesel engine is a refined, quick-revving motor, but it has a very narrow powerband and hits the limiter often. It has a light clutch though, and slick gearshifts from its 6-speed manual, and that makes it driving in the city quite easy. 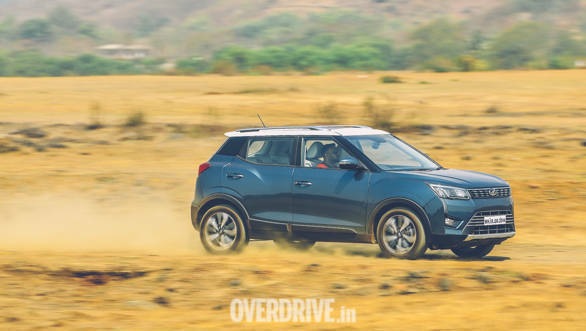 It gets to triple digits speeds without feeling strained, but past the 120kmph mark, the XUV300 feels wallowy and unnerving and the spongy brakes don't help either. It is more of a city slicker then, and it also shows in its performance and fuel economy. On the highway, it returned about 18.47kmpl, which was the lowest of this test. In the city however, the XUV300 faired better on the merit of its micro-hybrid tech and returned a fuel economy of 15.3kmpl. Like the XUV300, the Nexon too is a heavy car and suffers from a lower power-to-weight ratio that shows in its outright acceleration. But its gearbox is tuned quite well for urban use and that reflects in how effortlessly is drives around town. Even on the highway, the Nexon cruises effortlessly, needing only 2,200rpm from the engine to maintain 100kmph. The other three need close to 3,000rpm. It also has a strong mid-range grunt which makes overtaking easy at city and highway speeds, without having to downshift often. The gearshifts are rubbery though and the clutch pedal is springy. The Nexon's brake pedal feel is a bit spongy too, but the car has impressive braking despite its heft. The EcoSport and the Brezza feel the most stable at highway speeds. The Brezza will even hit 150kmph without breaking a sweat on the dynamics or powertrain front. Both these cars have good braking manners too, and make life easier for newer drivers with a progressive feel for the brake pedal. 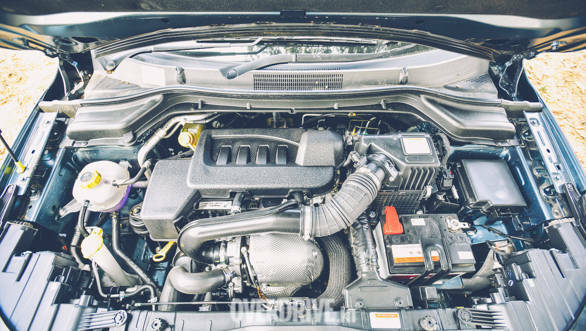 Once you experienced the refinement levels of the EcoSport's engine, the age of the Brezza's 1.3l engine becomes evident with its gravely note and noisy acceleration. But this old workhorse is still the most fuel efficient of the lot. We hear that a new, indigenous 1.5l diesel is likely to debut in the Brezza with its mid-life makeover next year, but that is a story for another day. The Nexon hits the ball out of the park when it comes to offering the most value for the buck. It has a kit that is on par with the rest and yet it manages to be priced quite well. The XUV300, like most cars Mahindra, is loaded to the gills with features. But like most new-age cars from Mahindra it also wears a high sticker price. So much so that it is almost Rs 2 lakh dearer than the market-leader, the Brezza, and about Rs 1 lakh more than the EcoSport - which itself is quite a pricey affair. But Ford touts the lowest maintenance costs in class and offers a more robust warranty and service package than its rivals, which should offer more peace of mind for those willing to stretch. In comparison, the XUV300 feels quite overpriced despite its 2year/unlimited kilometres warranty. Mahindra has made multiple attempts in the sub-four meter space, and the XUV300 is clearly their best attempt yet. But they can do better. 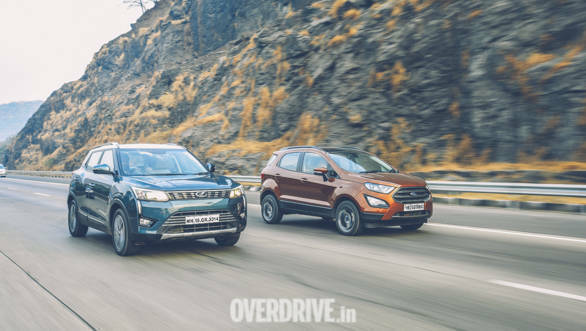 On the points table, it doesn't quite shake up the competition, because factors like the low fuel economy, unnerving high speed stability and the high price tag go against it. On there other hand, there is quite a bit going for it as well - like the design, the space, the features and the safety kit that it has onboard. There is an electrified version of the XUV300 in the works too, which highlight's Mahindra's farsightedness. 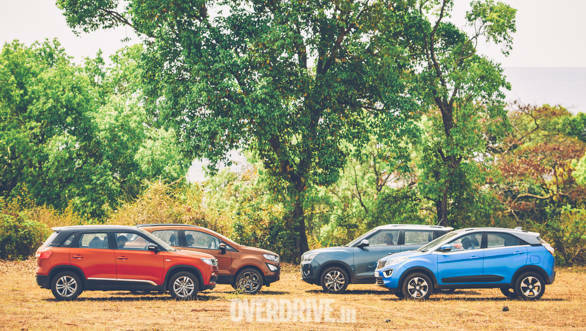 All of these factors will ensure that though the XUV300 doesn't dethrone the market leaders, it will certainly bring big numbers for the brand - better than what Mahindra has managed in this space.